SIZZLING 2016 CONTINUES INTO THE SPRING! While there is no shortage of buyers in the early 2015 market, many sellers have decided to postpone the listing of their homes until the Spring, a market that is perceived to be “better” by most. The result has been very low inventory levels, frustrated buyers and bidding war situations for the few fortunate enough to have listed their homes. The 178 residential sales in February 2016 represent a 19.5% increase over the same figure for February 2015. Prices have never been higher; thanks to roughly 55% of homes selling over-asking last month. 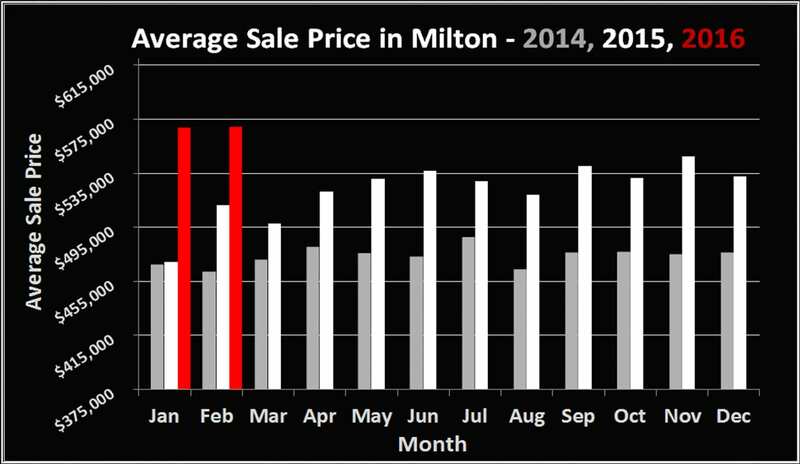 The average price of a home in Milton last month was a staggering $569,400 (up 11.4% when compared to last February). Continued low interest rates and foreign investment appear to be fueling the gains. 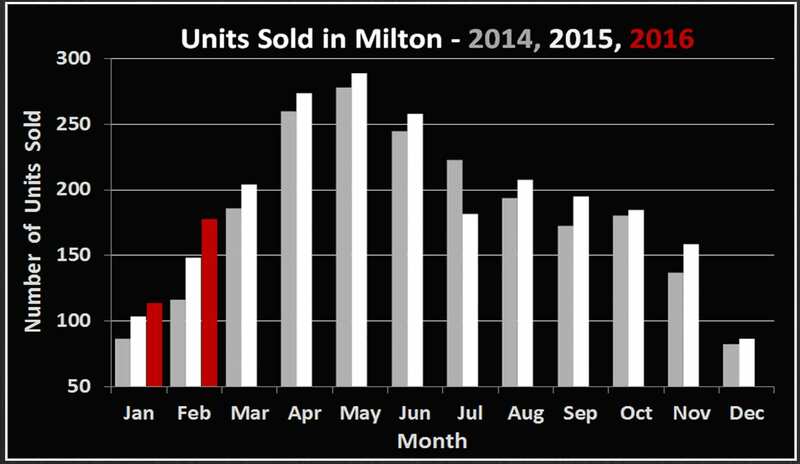 It looks as though we are poised for another strong, positive year in real estate here in Milton. In the following months the market will likely reach equilibrium as it typically does, so now may be a good time to consider listing if you’ve been thinking of holding off for warmer times.